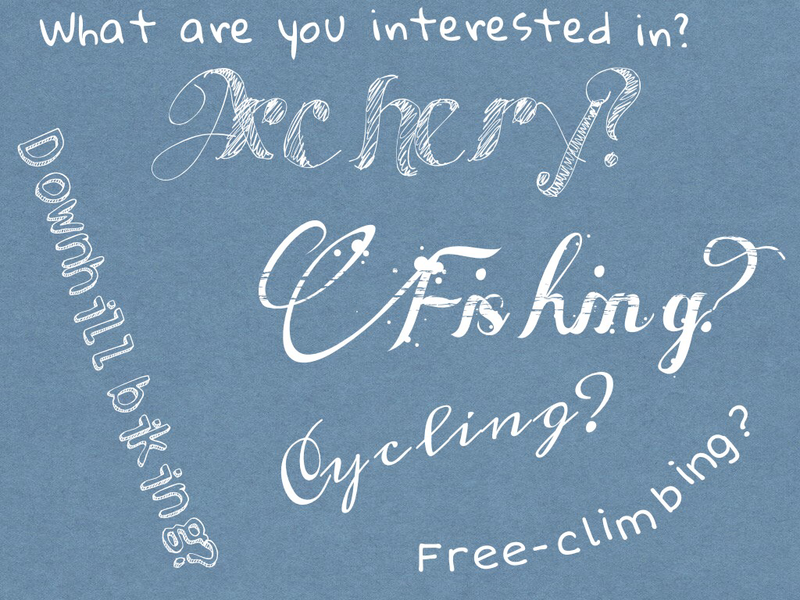 WHAT ARE YOU INTERESTED IN? Highly PERSONALISED online English CONVERSATION lessons tap into your personal interests, hobbies or needs. With my students we have discussed the widest range of topics from archery, downhill-biking, free-climbing to guitar playing, fishing and art history. CONVERSATION ON TOPICS OF YOUR INTEREST make LANGUAGE LEARNING MORE MEANINGFUL and therefore it becomes EASIER TO LEARN. Exam preparation from IELTS, TOEFL, UNIVERSITY EXAMS, FCE, CAE are other challenges I have helped my students face with success. Why not try out HALF AN HOUR of online English conversation FOR FREE so we can get to know each other and see if we are on the same wave-length?